Part of MKC's Revenge Week (July 8-14, 2013). This is not a new piece but it just seemed too a propos not to include. Just like anyone else, I come from a country (Ireland) with historical scars that refuse to completely fade away. The sad fact is that these days my connection with my home is tenuous at best. Nevertheless, as we approach the centenary following the Easter Rising of 1916, this terrible event that saw a group a passionate Irishman stand up to their English oppressors, only to be brutally suppressed, is still an indelible part of who I am. My grandmother (who recently died aged 100) was only four when it happened. It should be ancient history for me: a bygone event that took place in a country I didn't spend much of my youth in and that I don’t easily identify with. Yet somehow, I feel a sense of solidarity with those young men (and a few women) who stood up to an unvanquishable foe in the name of what they felt was right. Given the strength of such an event on someone so far removed from it, I can only imagine what the Gwangju Massacre of 1980 means to Koreans. Far more recent and a great deal more traumatic, not to mention unresolved, it is an atrocity that has deeply affected the nation. 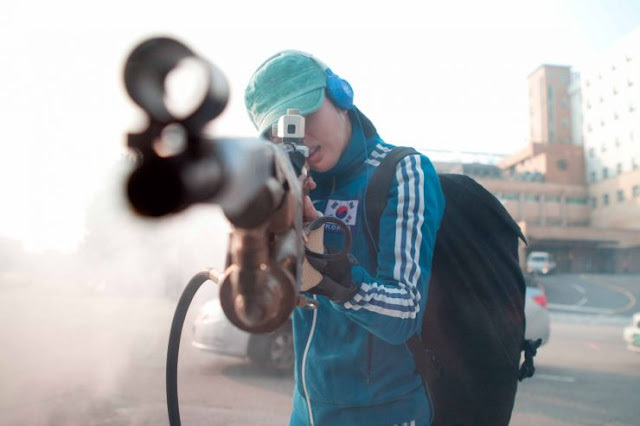 Late last year, following a contentious journey to the big screen was the adaptation of Gang Pool’s graphic novel ‘26 Years.’ Its premise is simple: three young relatives of Gwangju victims are brought together a quarter century later to assassinate the orchestrator of that infamous day, former president Chun Doo-hwan. Crowd-funded with small contributions from over 15,000 donors, 26 Years was a triumph at the box office, and one that opened up more than a few wounds for the almost three million locals who saw it. After a brief opening in the present (actually 2006), the film quickly goes back to that day in May 1980. A 10-minute animated sequence unfolds which shows us the fate of the father, mother and sister of our trio of central characters. The drawn images are brutal and harrowing. The decision to animate this part of the film is an effective one reminiscent of Persepolis (2007), Waltz With Bashir (2008) but also the recent King of Pigs (2011). The pressing weight of contemporary Korean history lends a potent gravity to the film while the project’s stylish trimmings and youthful energy invigorate it. Debut director Jo Keun-hyung, with a big helping hand from producer Cho Young-bae, produces a taut thriller that simmers along on the currents of recent history. Angry but focused, the film seeks one thing: an apology. Though in its’ absence, it will settle for retribution. 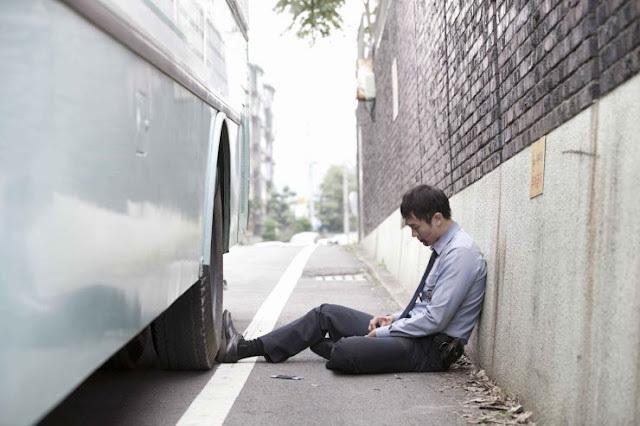 Chun Doo-hwan was tried, convicted and sentenced to death for his part in the massacre, during which up to 2,000 civilians were shot or beaten to death by the military. 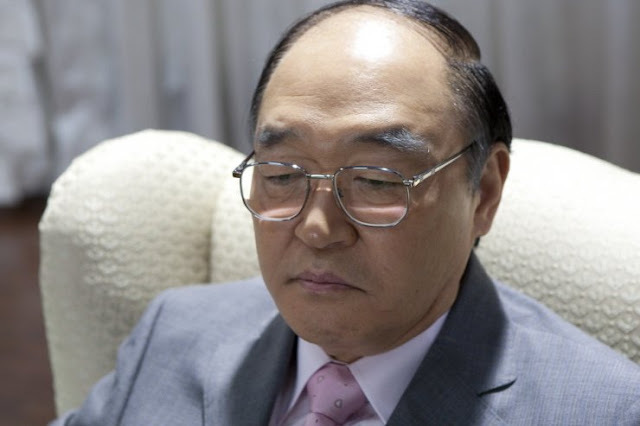 He never apologized for his crimes and his sentence was subsequently commuted by President Kim Young-sam. Unsurprisingly, many are still bitter as he idles away his remaining days in a big house under armed guard. As far as revenge narratives go, it’s hard to top this one, as many local viewers will have a personal stake in the fate of the target. Unlike the similarly incendiary National Security from Chung Ji-young (released around the same time), this work doesn’t really set out to explore the possibility of forgiveness or redemption. Rather, it’s a fantastical narrative that pits spectators against their long-held traumas. Performances throughout are strong, Jin Goo has a kinetic energy as the edgy gangster while supporting players like Lee Kyoung-young and Bae Soo-bin add suitable gravitas to the proceedings. However, as the ex-President, Gwang Jang steals the show. Following an equally terrifying role in 2011’s Silenced and a great supporting turn in last year’s Masquerade, former animation voice actor Gwang brings the former dictator to life as a fiercely menacing and apathetic figure. I should offer a minor spoiler warning for what’s coming so please skip down to the next paragraph if you so wish. 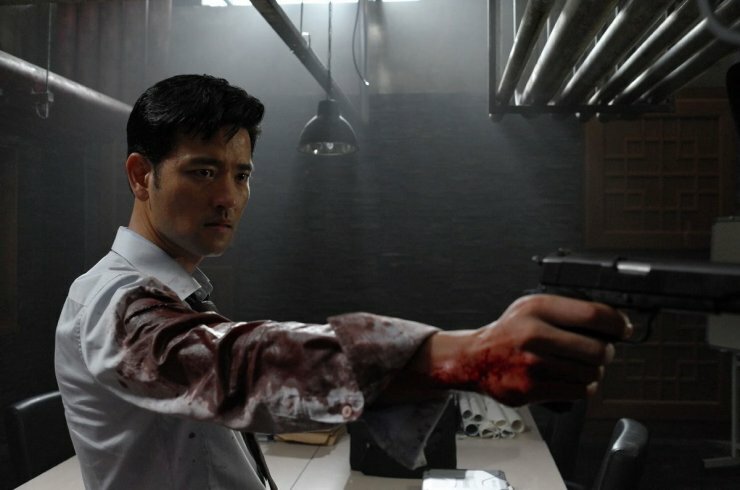 When the assassins finally descend on former president Chun’s complex in a riveting, intense and protracted sequence, the filmmakers easily toy with our expectations. Chun is very much alive and well and so killing him on screen, given many Korean citizen’s feelings towards him, is a dangerous proposition. You never really expect it to happen but the former dictator does find himself in a good half dozen situations where he is an inch from death, his life in the hands of a number of vengeful protagonists. The only problem is that they play this trick one too many times, the tension gradually subsiding with each subsequent brush with death. Daring and powerful, 26 Years is one of Korean Cinema’s most direct confrontations with its traumatic history. The film grabs you from the outset and never lets go: propelled by bold revisionism and its harnessing of a nation’s outrage. While it may not feature the intricate and subtle artistry of works such as Lee Chang-dong’s Peppermint Candy (1999) or Bong Joon-ho’s Memories of Murder (2003), Jo Keun-hyung’s searing feature debut nevertheless makes for thrilling viewing.